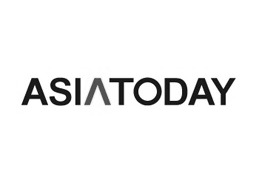 By Hong Soon-do, Beijing correspondent, AsiaToday - The Chinese capital is hitting the world of soccer based on its great money by either taking over or buying majority stake in world top soccer clubs. We could say that China is almost sweeping the world soccer market. Perhaps, there would be no single football club that isn't handled by the Chinese capital. Such assertion is convincing enough considering the recent reports of Chinese media outlets, including People's Daily. It has been revealed that Chinese companies and capitalists have either bought or scored majority stake in 10 world top soccer clubs. Most of all, retail giant Suning Commerce Group Co. of China, which owns Chinese Super League Club Jiangsu Suning, spent €270 million ($307 million) to buy about 70% stake of Inter Milan. Another Milan-based football club AC Milan is in a similar situation. The club owner and former Italian prime minister Silvo Berlusconi said that he has sold AC Milan to a Chinese consortium at a minimum of $750. Although either party denied it, the consortium is believed to be headed by Baidu, the largest search engine company in China. In Spanish Primera Liga, China's real estate giant Wanda Group is boasting the power of Chinese money. 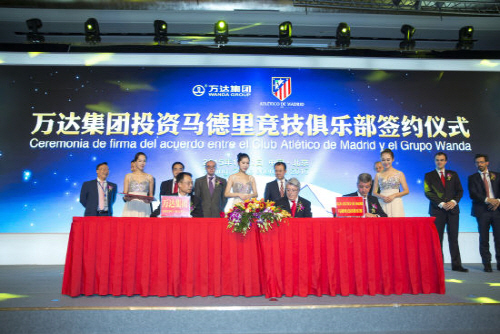 The group has acquired a 20 percent stake in Atlético Madrid last year, and is expected to acquire management right as well. In the case of English Premier League, a consortium of Chinese investors paid $400 million for 13% stake in Manchester City last year. Other examples of world famous soccer clubs that flocked to China include France's OGC Nice, Czech Republic's Slavia Praha, and Australia's Newcastle Jets. More and more global clubs are expected to move to China. In fact, the Chinese capital's active top soccer club shopping is not strange at all. Most of all, it doesn't cost a lot of money. To be honest, the amount of money required is small considering the amount of money needed for M&A. Besides, there is no fear of selling a club at unfair price even if you want to sell it later. Moreover, Chinese investors have plenty of reason to invest in the world of football as Chinese President Xi Jinping set a goal of developing China into a 'world class soccer power'. The soccer club shopping by Chinese money is likely to continue for a while.